A new release of our turn based tactical combat game, Templar Assault RPG, has been release for Android. Templar Assault provides squad based combat simulations set in a distant sci-fi universe. Take command of your team of augmented super-soldiers and purge the xeno! This update to the game (the second this week) provides some excellent new content and features. There is a new weapon (the 'Devastator Ax') for your Berserker Knights and two new items. 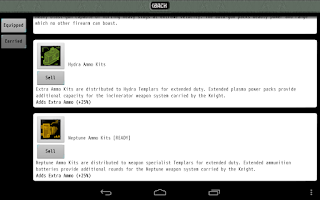 The new items are ammunition kits for your weapon specialists -- both the Hydra Knight and the Neptune Knight. 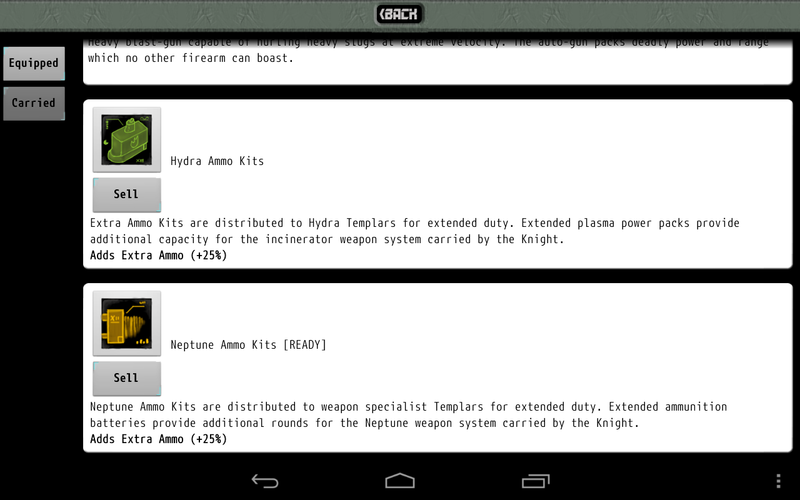 These new items make it easier to equip your squad fully for long duration deployments. Need enough ammo for 100 xenos? Requisition your supplies for Templar Fleet Command today! We're always ready for feedback from you -- Knight, Captain or Templar our forum welcomes all. Templar Assault is available for your Android phone and tablet on both Google Play and the Amazon App Store. Download the free version and check it out.